Diversification is a term that Oxborough Farms owner Ian Monson is extremely familiar with having constructed two new fishing lakes on his land in West Norfolk. The idea came about several years ago when Ian investigated the option of constructing the lakes on an area of permanent grassland, which was unsuitable for any other form of cropping. Positioned beside the River Gadder, the site had an excellent supply of fresh water and with the demand for high quality angling locations at a high, the fishing lakes were born! Lake construction work got underway to create around two acres of water, as well as excavate 40,000 tonnes of spoil and move it across the river, which would be landscaped to blend in with the surrounding ground levels. William Morfoot Ltd designed and built a temporary culvert over the river to permit access to the site and regulated the water table with pumps whilst the work took place. Great care was taken during the construction to observe the planning rules and regulations which required certain areas of the site to be left untouched on environmental grounds in order to preserve local flora and fauna. With the lakes completed ahead of schedule, footpaths around the lake perimeter were then added to allow the anglers an easy route to access the lakes with their fishing equipment. Following on from this, 29 individual fishing stations were built along with new car parking facilities and an easy access road. The lakes are now stocked and enjoyed by fishermen from all over the UK. Careful planting is ongoing to encourage the creation of new and diverse habitats around the lake area and it remains an area of outstanding beauty. 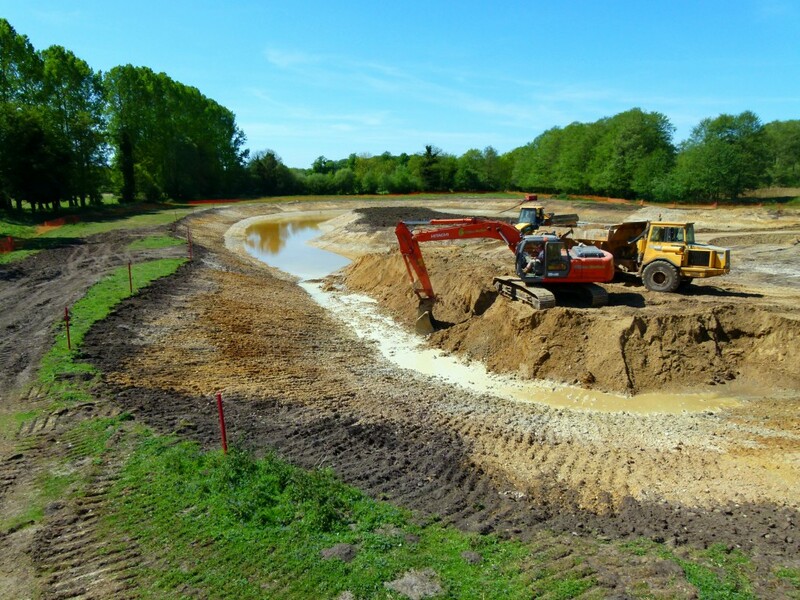 We have recently undertaken a farm diversification project creating 2 new fishing lakes on our land in West Norfolk. William Morfoot Ltd built the lakes for us as well as doing a number of ancillary projects including building the fishing stations and creating new footpaths/car parking areas for the anglers. The quality of their work speaks for itself and we are very pleased indeed with the end result. What project would you like to talk about? Please note: We will only use the data provided to answer your enquiry. The data is held within our email system and website database securely in the EU. We never sell your data.